The mission of the Czech Film Foundation is the digital restoration of important films in Czech cinema, and to collect the funds for their restoration, thereby making them available to next generations of film fans. The idea behind the Restoring the World of Fantasy project is to support the digital restoration of three films from the golden fund of Czech cinematography produced by Karel Zeman. The Czech Film Foundation is working closely with the Karel Zeman Museum and Czech Television on this project. Thanks to the active involvement of all three parties working on the project, it has developed beyond its original objective and given rise to a number of overlapping activities in areas such as education or the promotion of Czech filmmaking abroad. More. This is the latest project of the Czech Film Foundation. The ‘Cutting It Short with Jiří Menzel’ project follows the successful cooperation between the Czech Film Foundation and director Jiří Menzel on the digital restoration of the film Ostře sledované vlaky (Closely Watched Trains) in 2014. The aim of the project is to digitally restore the film Postřižiny (Cutting It Short) to the highest quality and to present the restored version to the general public with Jiří Menzel and cinematographer Jaromír Šofr. More. Do you want to make your friends happy, or give yourself an unique gift and at the same time contribute to a good cause? Send a donation to The Czech Film Foundation and help save film treasures from the Golden fund of Czech Cinematography. Prosím zadejte své iniciály pro vytvoření darovací smlouvy. Po odeslání formuláře obdržíte email s informacemi o zaslání finančního daru a variabilním symbolem, kterým spojíme Vaši platbu s darovací smlouvou. Darovací smlouvu obdržíte po spárování Vašeho daru s údaji níže. The idea behind the Restoring the World of Fantasy project is to support the digital restoration of three films from the golden fund of Czech cinematography produced by Karel Zeman. 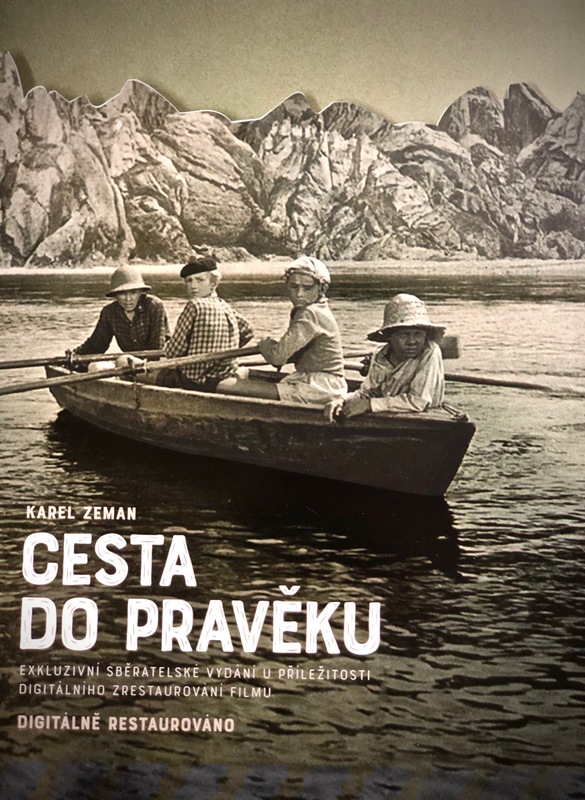 The Czech Film Foundation is working closely with the Karel Zeman Museum and Czech Television on this project. Thanks to the active involvement of all three parties working on the project, it has developed beyond its original objective and given rise to a number of overlapping activities in areas such as education or the promotion of Czech filmmaking abroad. <a href="http://www.theczechfilmfoundation.com/our-projects#Cleaning-Up-the-World-of-Fantasy">More</a>. This is the latest project of the Czech Film Foundation. The ‘Cutting It Short with Jiří Menzel’ project follows the successful cooperation between the Czech Film Foundation and director Jiří Menzel on the digital restoration of the film Ostře sledované vlaky (Closely Watched Trains) in 2014. The aim of the project is to digitally restore the film Postřižiny (Cutting It Short) to the highest quality and to present the restored version to the general public with Jiří Menzel and cinematographer Jaromír Šofr. <a href="http://www.theczechfilmfoundation.com/our-projects#Cutting-It-Short">More</a>. 'description' => '<p>The foundation “Czech flails” devoted the year 2013 to the renovation of the legendary movie “All My Compatriots”. The film is considered one of the most famous titles in Czechoslovakian cinema. It’s the paramount creation of Vojtěch Jasný, drawing on all of his life experiences. It is both humane and cinematic. The restoration of “All My Compatriots” was possible due to the financial support of Lenka Romanová and Martin Roman. To film a story based upon the post-war life of people in the countryside was a dream Jasný had from the very beginning of his career. His mother played a very important role in making this dream a reality, since she gathered stories about various “Compatriots” from her home village Kelč all throughout the end of the war until her death in 1955. 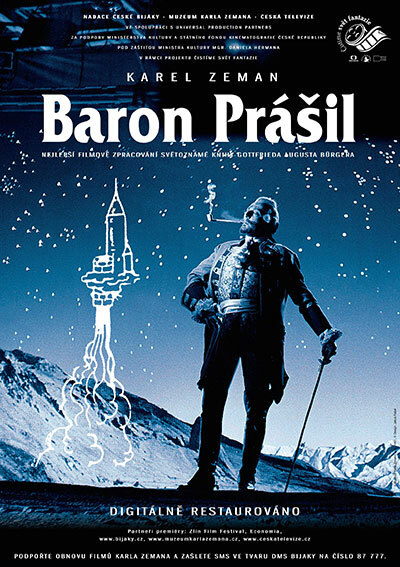 Nevertheless the shooting of the movie did not start before 1968, when the author’s screenplay effort and the vision of Jaroslav Kučera (one of the best Czech cinematographers) finally came together. Designer Ester Krumbachová rounded out the team, playing a significant role in the final tone of the film. The chronicle that is made up from a prologue, nine time managed chants from May 1945 to the winter of 1958 is supplemented by an epilogue that led compatriots into the time of the films making. The story follows a group of friends in a Moravian village who have to face a difficult challenge with the name of collectivisation. Vojtěch Jasný drew on the lives of similar people. Shortly after its premiere in 1969, the movie was banned and remained locked up in a vault for the next twenty years. But before this occurred, “Compatriots” was awarded prizes for cinematography and directing at the prestigious Cannes Film Festival in 1969. <p>As a matter of fact the movie was not shot in Kelč, where Jasný was born, but in a Moravian village Bystrá, that Vojtěch Jasný elected on the grounds of the suggestion of Jaroslav Kučera, the cameraman. The residents were very social and agreed with the screenplay’s depiction of the village’s evolution after the war; they felt it was identical to what they actually went through themselves. Jasný planned to shoot the movie throughout the whole year with short breaks. He encouraged his actors to live with the villagers in order to create good relations and let them influence each other. The most pronounced character of the movie was Radoslav Brzobohatý. Unlike his predecessor, the actor was taller and more robust in real life. But this so-called handicap did not disadvantage him or the way he portrayed František in any way. The ceremonial premiere of ‘All My Compatriots’ took place on Saturday June 29th in the event of the 48th annual international film festival in Karlovy Vary. The projection included a short film about the making of ‘All My Compatriots’ directed by Miroslav Ondruš. Specialists from studio UPP, the National Film Archive, Association of Cameramen and studio Soundsquare all came together for the restoration of Jasný´s creation. The digital alterations involved 170 thousand film shots. Experts from the UPP worked for more than 3,000 hours in the restoration of the movie, and faced about five million impurities from the image. Studio Soundsquare had cleaned the soundtrack of around three and a half kilometres of film reel. The goal of the restoration work, the price of which escalated to 1.2 million crowns, was to deliver the version of the movie that was seen and heard in home theatres by its very first viewers. <p>On the website of the Komerční Banka, it is possible to see how individuals contributions were received and how they eventually gave enough for the digital restaurant of the Closely Watched Trains. Just click on the link "transparent account" in the upper right hand corner. Menzel's Closely Watched Trains, based on the eponymous novel by Bohumil Hrabal, is considered among the most famous titles of the golden fund of Czechoslovak cinema. Immediately after its premiere in 1966, the film was a great success. It was subsequently awarded a number of prestigious awards and today still influences audiences around the world. <p>The gala premiere of the digitally restored version of Closely Watched Trains took place on the 5th of July at 2pm in the Grand Ballroom at the Thermal occasion of the 49th International Film Festival in Karlovy Vary. Before the premiere, Jiri Bartoška, the president of the International Film Festival in Karlovy Vary, gave the opening speech. He was followed by Ctibor Pouba from the Czech Film Foundation, Jiří Menzel, Jaromír Šofr, Vaclav Neckar, Nada Urbánková, Květa Fialová and Jitka Zelenohorská. All of the actors and artists expressed their delight about the digital restoration of Closely Watched Trains and supported the actions of the Czech Film Foundation. The story of engineer Šimon Hart - continuously recorded in his diary – took place at a time when people were pushed by the belief in unstoppable progress. New inventions emerged like mushrooms after rain and attracted criminals to abuse. filemtime - [internal], line ? ?